CERTIFIED 24 MPG AUTOMATIC -- POWER EQUIPMENT -- SLIDING WINDOW -- CLEAN CARFAX! 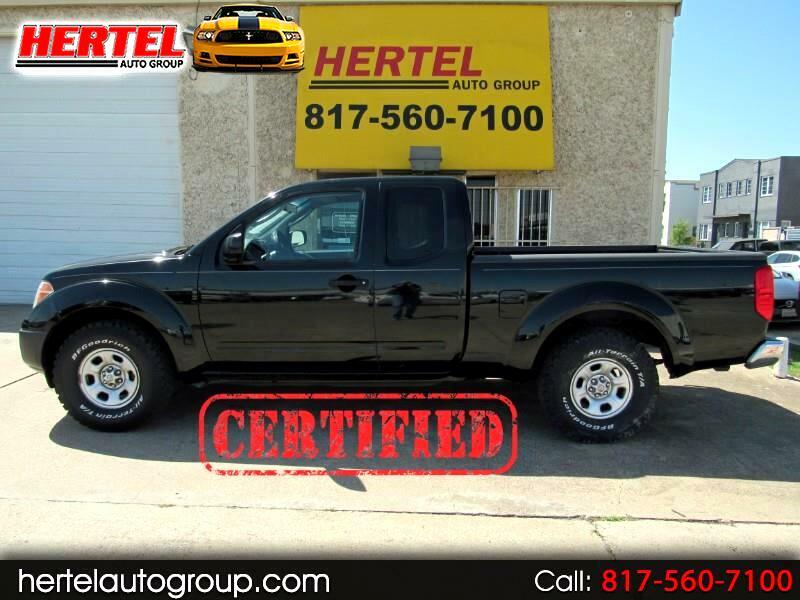 Hertel Auto Group is pleased to offer this work- or play-ready, dependable and capable 2007 Nissan Frontier XE Crew Cab 4x2 Pickup Truck for sale in Fort Worth Texas. If you've been searching for a great truck for a new driver; an affordable choice for work; or as just a great rig to have around as a weekend warrior, it's hard to beat the value of a Nissan Frontier. Long lauded for their reliability, toughness and driving dynamics, these are highly sought after in the pre-owned marketplace. Long lauded as a top pick among Midsize Pickup Trucks because of its brawny nature, powerful engine and innovative features, the And tough? The Nissan Frontier is cut from the same cloth as its larger sibling, the Nissan Titan. It shares that truck's beefy lines and pugnacious stance, as well as its suite of well-thought-out features. It also boasts a fully boxed frame that's tough enough to handle a steady diet of rocks and gravel. Competing with the likes of the Toyota Tacoma, Dodge Dakota and Ford Ranger, the Frontier has been one of the most sought-after vehicles of its kind when compared to how many are available in the marketplace. On the road, this Frontier boasts Nissan's well known 2.5-Liter DOHC 16V I4 Engine that delivers a peppy 152 Horsepower and stout 171 lb ft of torque while still returning up to 24 mpg on the highway. When properly equipped, it can tow up to 3,000 to 3,500 pounds. Mechanically, it starts, runs and drives exactly like you'd expect it to. For additional peace-of-mind, this one is Hertel Certified which means it includes an outstanding 90-Day or 4,500 Mile Warranty that covers far more than just the motor and transmission. All four B.F. Goodrich All Terrain T/A 31x10.50R15 LT Tires mounted on OEM 15" Steel Wheels are in very good condition. On the outside, this rust-free, damage-free Frontier sports a Deep Black Paint Scheme that is complimented by a Grey Cloth interior. A Bedliner and Rear Sliding Window are nice additions for looks and functionality. Inside, the smoke-free interior of this Frontier is nicely equipped with the XE Package that includes Power Windows, Locks & Mirrors; Cruise Control; Tilt Steering; CD Audio; A/C and more. As with any pre-owned vehicle, it does have the usual amount of cosmetic imperfections that are inherent to a vehicle of this age and mileage. We invite you to view all of the photos that are available on our Web Site and determine for yourself if it meets your expectations for a vehicle of this age and price. If it does, we then welcome you to stop by for a viewing and test-drive of this work or play-ready 2007 Nissan Frontier XE King Cab 4x2 Pickup Truck. Given the low availability, ownership history and overall condition of this truck, we've still priced it well within all of the current market values and expect it to sell quickly! Message: Thought you might be interested in this 2007 Nissan Frontier. Certified Plus Coverage includes major components of the Engine and Transmission, as well as A/C Compressor; A/C Condenser; A/C Evaporator; Radiator; Water Pump; Thermostat; Alternator; Starter Motor; Power Steering Pump; and more. Service Work can be done at any Nissan Dealership or ASE-Certified Mechanic. See Dealer for More Details & Upgraded Coverage Options!